It is with gratitude and joy for me to post about Dane and I’s 8th year together. Truly, God is faithful in each of our lives. We can never say that this journey was smooth-sailing, but what I can say is, if not for God’s goodness + our faithfulness to each other, this relationship wouldn’t last this long. Eight years may be just a speck compared to those who’ve been together for decades, but for us, it is definitely worth remembering and thankful for. Many of us want our relationship to work but there are also many couples who, unfortunately, didn’t make it together and mutually decided to split. For whatever reason, we also think that “maybe” that person isn’t “the one” for you. I first met him in a local fellowship in their church (the same church where we go now) during a fellowship and I’ll lie if I say I didn’t have a crush on him! LOL! Korni/cheesy, whatever! Haha. But he was in a commitment with someone else that time. It wasn’t until 1.5 years after when we met again, and this time, had the opportunity to get to know each other well. But it was then me, who was committed with someone else. Long story short, I fell in love with him, broke up with my then BF whom I had a vague relationship with due to on/off quarrels and then my life was with Dane since then ‘til forever. Yes, I am in love with my husband. And will always be. I am proud of him. And my heart, is just filled with adoration for him. God knows I love him so very much! Life isn’t easy and our relationship isn’t perfect but I am incomplete without him (and now with Nate added to our love nest). Dane and I are not perfect lovers. We fight, we argue at the simplest things sometimes, we have different views and principles and we have also have egos. Our egos are our greatest enemies. It makes the quarrel last longer, it makes the fight bigger than it should be and most of the time, it leads many couples into a decision to split. 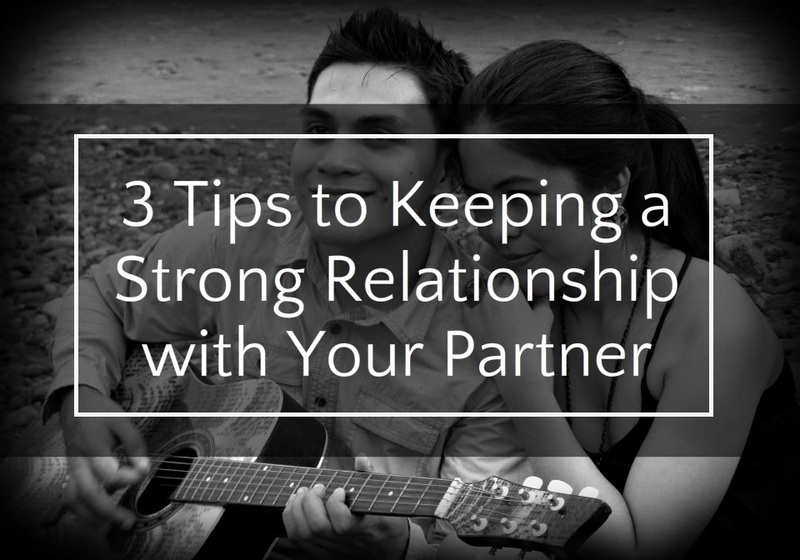 So I am no relationship expert but there are 3 things that I can say worked for us, which also worked for many couples and might work for many more. I am not good at this but Dane is always trying to do this thing. 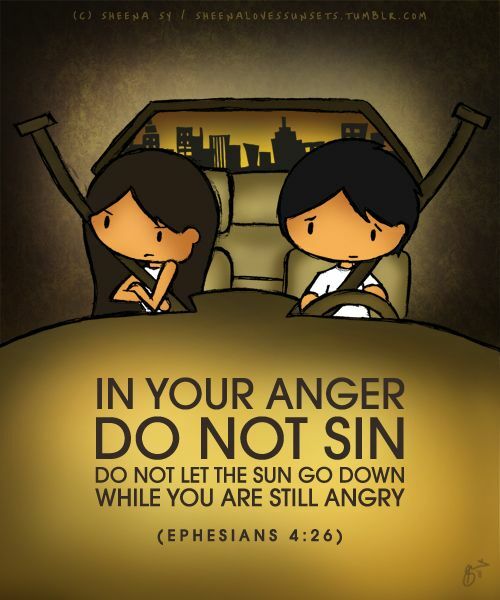 As the bible says in Ephesians 4:26-27: “Be angry, yet do not sin.” Do not let the sun set upon your anger, and do not give the devil a foothold.” I remember when it’s sleep time and I’m still mad, Dane would tell me, “tama na, love, kasi gabi na, matutulog na tayo. Wag mong hayaang makatulog ka nalang na galit”. Most of the time, when he says this, I’d be reminded to do the right thing and be at peace with him before sleeping. However, there are also times that I’d rather listen to my ego. Why should we do this? because no matter how mad we are, and no matter how long we let our anger last, we still end up reconciling with our partners anyway, so better do it early. It also helps your our heart breathe easy, lol. Seriously, the quarrels make it really difficult to breathe! Haha. I experienced that a lot of times! I understand there are many couples who don’t do this and still stay together and I know sometimes, the issue is so great that you can’t just forgive your partner right away and “time” could help heal. I respect and understand that. However, we can’t deny that there are also many couples doing this and it works for their relationship so much. This is why I am doing my best to be able to do this as well. Relationship’s greatest enemy for me is PRIDE. It breaks so many families already. I remember a short story I read somewhere about the two couples who were neighbors. The first couple is always fighting, and the second couple is always at peace. The first couple decided to sneak in the second couple’s house to see what their secret is to keeping their relationship at peace is. The husband on the first couple went to the second couple’s house and saw the wife busy cleaning the floor while the husband was cooking. The husband almost that he was cooking so he hurried to turn the burner off. He slipped going to the kitchen because the floor was still wet. After recovering from the mild fall, the wife said, “I’m sorry, I should’ve been told you the floor was still wet”, the husband replied, “no, I’m sorry, I forgot that I was cooking and so had to hurry up and now there’s another mess you have to clean on the floor”. The husband who saw everything that happened in his own eyes, went home with a sad face. The wife asked him if he’s discovered what the second couple’s secret was to their peaceful relationship and the husband said yes. He said, “While we were busy pointing at each other for a fault, this couple were taking the blame to themselves”. It’s too difficult to blame ourselves over something (and again, our ego has something to do with it) because we are self righteous, we want to be able to think that we have done nothing wrong and look for someone else to blame. In every quarrel, it’s good to think that each of us has done something to it. 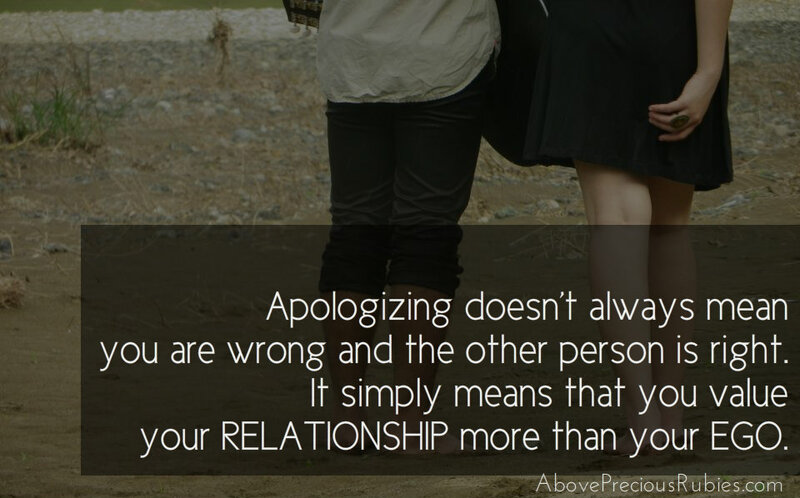 And if we be more humble and we apologize first, it’ll make help our relationship grow. I always mention this on every post that I do about marriage/relationship because I strongly believe that with God being the head of the relationship will give so much difference in a couple’s lives. They say that a relationship should always have a THIRD PARTY, and the third party is God. In this relationship of eight years with Dane, all I can say is, without God’s help, I’m sure we won’t be together for this long. Pray for your partner. Pray FOR him/her and pray WITH him/her. When we make our relationship with our spouse our highest priority, with God as our faithful master, no enemies, will…or imagined… can come between us. Happy 8th anniversary for both of you! I'm happy that our husband is a big blessings for us. Kahit malayo sila sa atin but God still faithful in our relationship with them. I know that God is always the center in every believer's relationships. CHEERS! Happy anniversary. May you celebrate eight times more anniversaries. Truly, with God at the center, any relationship wouldn't be put to doom. Super agree ako sis. We been through though times din. Also, always find time to talk about you and your relationship. Napansin ko kasi yan nawawala habang tumatagal ang pagsasama. We take for granted yun presence ng isa't isa as if we have nothing to discover na. I'll write about this too soon hehe. You're definitely right, sis! Pag walang commitment to work hard in the marriage, it won't really work. Thank you Momi Berns! Muah! Thank you sis! I am guilty of that too! Lagi ko ginagawa yan dati. Now 'di na kasi ofw na si hubby. haha.